Chiropractic care is not just for those people who have been involved in an accident or for those who suffer from chronic neck or back pain. Although Chiropractic care can benefit those people it provides relief from many other health conditions. Even a healthy person can benefit from chiropractic maintenance care. How? 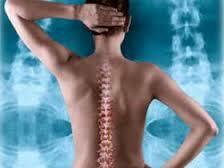 Because Chiropractic care directly impacts the nervous system and healthy nerves mean a better functioning body. Many people choose to get adjusted to help prevent problems such as the way people brush, floss and get their teeth cleaned to prevent cavities. Regular chiropractic adjustments at Bentleyville Chiropractic Center can help restore and maintain balance within your body. This will leave you better function better in life. Additionally, injuries are less likely to be serious and can heal at a significantly faster rate in those who receive regular chiropractic care, especially when combined with other healthy activities such as regular exercise and eating a nutritious diet. I've been a patient of Dr. Haschets for a good 7 years, even through 2 pregnancies, and he and his staff are wonderful. His office is very welcoming and even with his busy schedule he has always found time to accomodate me. His recommendations for care are always well thought out, without the pressures for numerous repeat visits as associated with many chiropractors . I would highly recommend Dr. Haschets to anyone looking for a gentle and professional approach to better health. I'm forever grateful to Dr. Haschets for relieving my shoulder pain. I had work injured my shoulder and been going through my local chiro for a couple months. While we were visiting the in-laws I was in such pain my husband suggested we go see the Dr. he's seen for years! Truly the beginning of my healing process!! Thank You Again!